Karkonosze is one of the most interesting mountain regions in Central Europe, both in terms of landscape and nature. The harsh climate and diverse terrain, mainly shaped by erosion of Pleistocene ice-ages, give these relatively low mountains the characteristics of alpine ranges. Due to the specific conditions in Karkonosze, you can find there characteristic rock formations, unique forest ecosystems, alpine animals and plants, including endemic species and post-glacial relicts. Since 1959, the northern slopes are the place of Karkonosze National Park. The peculiar thing about Karkonosze's nature and climate is that it has as much as 5 altitudinal zones. Even a single-day trip on the route trails allows you to observe how the vegetation changes with the increasing altitude. The grasslands of the lower zone and the alpine tundra at its upper border hold the protected species of crocus, orchid, lily of the valley, and many other very rare plants: silver thistle, willow gentian, true oxlip, and clasping twistedstalk. The subalpine floor mainly consists of dwarf trees, although glacier cirques can also hold endemic assemblages of black cherry, mountain ash and Karpatian downy birch. Furthermore, there are Lappish birch trees growing near the fountains, by the springs and lakes. The high peatbogs are a key element of Karkonosze's vegetation and landscape. There are some of the major moors complexes there in the mountains of Central Europe. The most magnificent peatbogs are in the Plane below Śnieżka. The top floor (alpine) is only partly developed on Śnieżka, on the ridge of the Black Peak, in the top parts of the Great Helmet as well as in Snowy Cirques. The characteristic plant on this floor is the highland rush, which gives the grasslands its red color in late summer. Another interesting and easily observed plant is the yellow lichen growing over block covers of e.g. 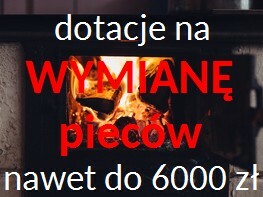 Łabski Szczyt. The walls of post-glacier cirques present unique vegetation, especially the Basalt Core in the Small Snowy Cirque - unique in the whole of Europe. It is the richest place in Karkonosze in terms of the flora; it holds the relict of the Ice Age - snow saxifrage, and the endemite - basalt saxifrage. The world of animals in Karkonosze is just as rich as the world of plants. It is relatively easy to meet large mammals, such as deer or roe; the peculiarity of the region is the mouflon, brought for hunting from Corsica and Sardinia at the beginning of the 20th century by count Schaffgotsch. Mouflons find their most preferable spots near the Steel Crest, the Black Jagniątkowski Cirque and the moraine near the Snowy Cirques. Carnivores are represented by foxes and some smaller types: pine marten, beech marten, and weasel. The Karkonosze Mountains are also a bird refuge, which is why they have been marked as Special Bird Protection Area in 2007, included in the Natura 2000 Network. There are endangered species here, e.g. white-tailed eagle, peregrine falcon, eagle-owl, bluethroat, and grouse. Feel free to visit the Karkonosze Environmental Education Center in Szklarska Poręba (ul. Okrzei 28), where we have prepared an abundance of expositions presenting the unique nature in Karkonosze. More photos of the nature in Karkonosze are found in the gallery by Zygmunt Trylański. See the film "Amazing Mountains"